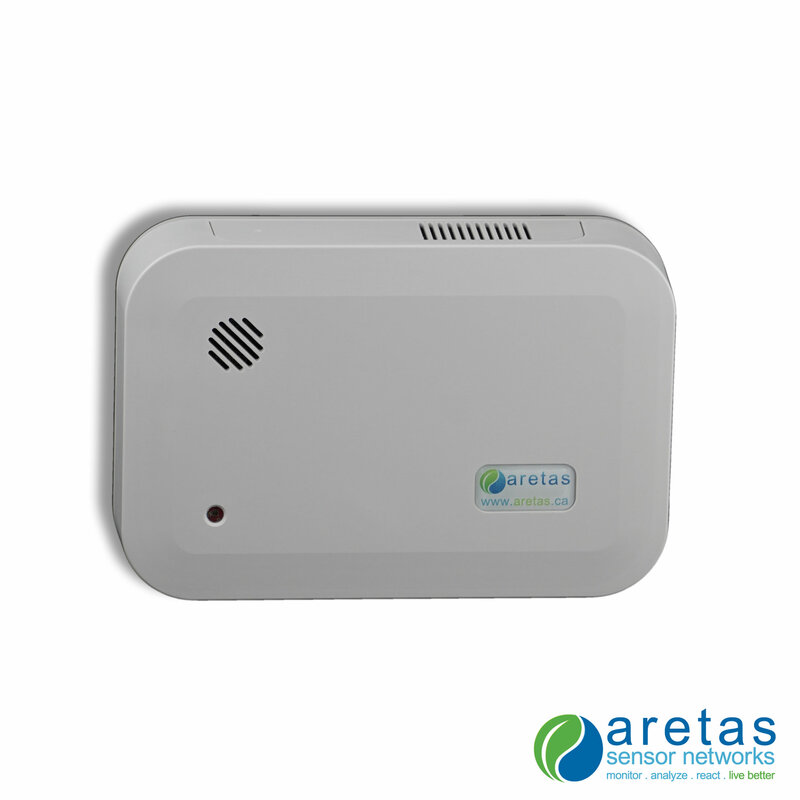 The Aretas Nitrogen Dioxide (NO2) gas monitor is an easy to install wireless system that displays data online, sends alerts via text or email and much more. 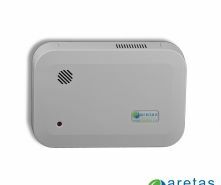 The NO2 monitoring equipment can include other sensors such as CO, CO2, O3, and VOC to provide you with accurate information about your indoor environments. Secure cloud based data allows decision-makers and maintenance staff to monitor VOC levels from anywhere at anytime. This wireless nitrogen dioxide monitor can detect NO2 at 0 - 20ppm, and record and transmit the NO2 data to a wireless bridge for immediate online access. The NO2 detector comes standard with Temperature and Relative Humidity sensors offering more in depth data as well potential energy-saving and money-saving opportunities. Why is monitoring NO2 important? Nitrogen Dioxide is a highly reactive oxidant and corrosive. The primary sources indoors are combustion processes, such as unvented combustion appliances, e.g. Diesel engines, gas stoves, vented appliances with defective installations, welding, and tobacco smoke. NO2 also plays a major role in atmospheric reactions that produce ground-level ozone, a major component of smog. At no additional charge most of our monitoring solutions include temperature and humidity monitoring to determine if energy savings opportunities exist, allowing you to offset the cost of NO2 and other monitoring needs.